Your business credit score is important if you want to qualify for financing. It’s also a good reflection of how you’re managing your finances overall. 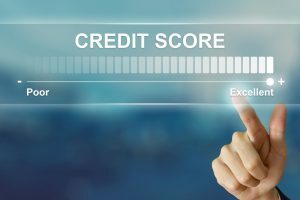 Here are some of the leading factors that impact your business credit score and that lenders typically consider when determining whether or not to lend to your business. Lenders look at how long a business has been operating, its credit history and how profitable it is. This is part of the broad category known as creditworthiness. If you can provide trade references from reputable businesses this is also helpful. Ultimately, lenders are concerned about the likelihood that you can repay a loan. This comes down to your past repayment history as well as your cash flow and other business factors. Collateral has always been a major factor in obtaining a loan. Collateral can be property, equipment or other valuable assets that serve to cover your loan. Having collateral ensures that you can pay back the loan by selling your assets. Banks, of course, can seize collateral if loans aren’t repaid on time. Another factor that banks consider is how much of your own money you’ve invested in your business. This provides information about your financial assets as well as your commitment to the endeavor. Lenders feel more comfortable issuing loans to business owners who have a substantial investment in their own business. Lenders want to see a strong business plan before they lend you money. You need to show that there’s a real demand for your products or services and that you’ve carefully thought out factors such as your customers, competition, expenses and marketing. These are the major factors that influence your business credit score. Banks look closely at these considerations when considering loan applications. Many small businesses, especially startups, face a dilemma when it comes to qualifying for traditional financing. They don’t have much to show in the way of history, references or sales. If you’re in this position, it not only affects your ability to get loans, it prevents you from getting favorable terms from suppliers and may make other businesses reluctant to work with you. Fortunately, there’s an alternative type of financing that can help such businesses. Invoice factoring is another type of financing that is possible for many businesses that don’t qualify for business loans. In this case, the factoring company purchases your invoices so you receive immediate cash for them. Invoice factoring has several advantages over traditional financing. It’s Easier to Obtain. Factoring companies look at your customers’ credit rather than yours. Even startups who are denied loans can be eligible for invoice factoring. Unlimited Funding Potential. Even if banks do approve you for a loan, it may not be sufficient for your cash flow needs. Again, if you’re a smaller or newer business you’re likely to get a smaller loan. Invoice factoring doesn’t limit your funding. You Get the Funds Right Away. Bank loans can take months to approve, before the funds are available. Once you’re approved for invoice factoring, which generally takes a few days, you can receive funds in as little as 24 hours. No Debt to Repay. With loans, you have to deal with compounding interest. Invoice factoring doesn’t require you to take on any debt or make any loan payments. It’s less pressure on you and may even be better for your credit score. Invoice factoring is worth considering if you’re frustrated by the conditions imposed by traditional lenders. Riviera Finance is one of the most experienced and trusted companies that offer flexible financing to small business. To find out more about how invoice factoring can help your business grow, contact Riviera Finance today.